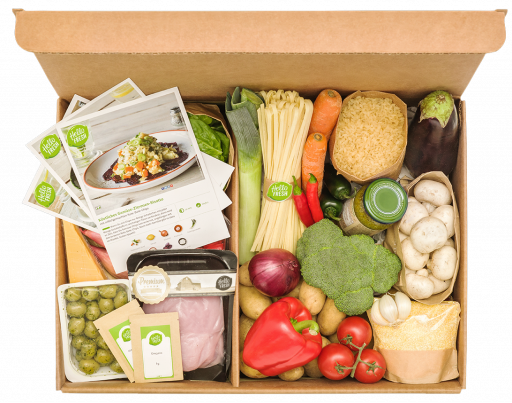 Get Your First Tasty HelloFresh box! Get £20 off for your TASTY HelloFresh meals! You'll cook amazing, delicious meals from scratch! "I LOVE receiving our box every Monday, knowing that dinner is sorted for the four busiest nights of the week"
More mouths to feed? No problem! We have boxes with bigger size or family boxes for you to choose. Your voucher is applicable on each box type (Classic, Family, Veggie). Well portioned ingredients and all recipes delivered right to your door. No more waste of food and money. No more greasy take-out (ok, maybe still once a month).